The Sacral Chakra is our center for sexual energy, creativity, and pure emotions. Feelings flow freely though regulating the relationship between lovers and friends. The Sacral balances the free giving and receiving of feelings and emotions. A balanced individual is considerate, open, friendly, kind, and has no trouble sharing emotions with others. They are happily connected to life. To use: Roll onto pulse points. Inhale. 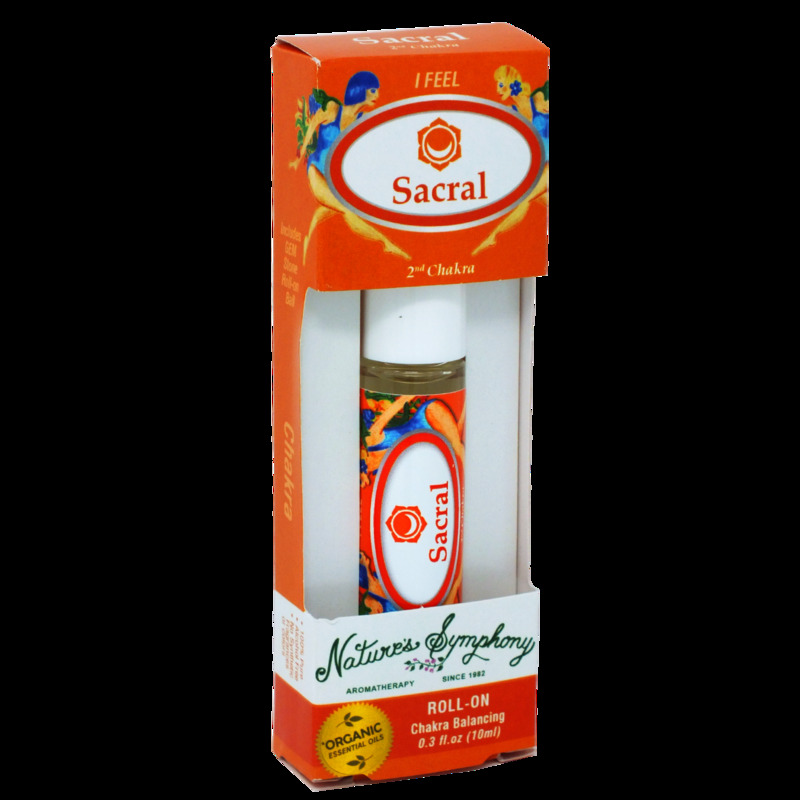 To balance your sacral chakra: apply on sacrum and lower abdomen. Pleasant aroma for daily use as a perfume. Avoid eye area. For external use only. Ingredients: Fractionated coconut oil (Cocus nucifera), with Organic/wildcrafted essential oils of orange (citrus sensis), ylang ylang (cananga odorata), patchouli (pogostemon cablin).